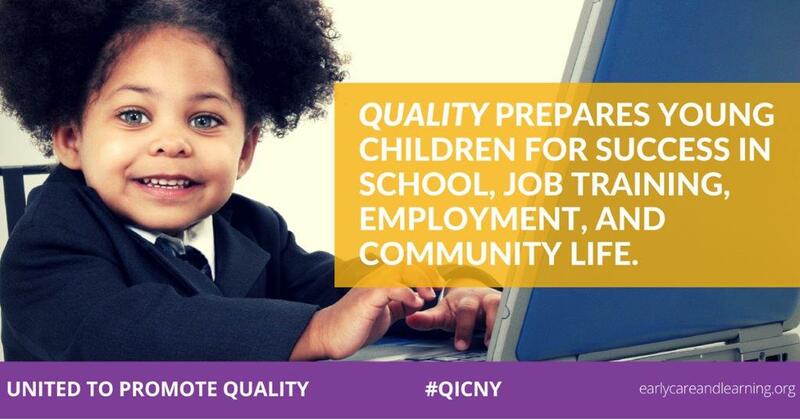 Home - Child & Family Resources, Inc.
is participating in the Quality Investments for Children (QIC) campaign which is a statewide initiative which seeks to not only educate communities about the importance of Quality, but to generate new resources that support Quality, such as volunteers, grants, in-kind donations, and the influence of community leaders. The first phase of the program is the United to Promote Quality campaign, which seeks to educate the community and raise awareness. Child and Family Resources was established in 1975 with the opening of a parent cooperative preschool. This unique non-profit child/family centered agency now comprises five sites to directly serve communities in Ontario, Seneca and Yates Counties. Child and Family Resources continues to modify and expand its services to meet the ever-changing needs of children and families. All customers will have the same opportunities to access available services we offer. This includes the right to non-discrimination and non-harassment based on race, religion, national origin, handicap, age, sexual orientation or any other protected class. We strive to provide high quality, culturally sensitive services to our customers- parents, providers, businesses and community members. To request an alternate accessible format or to report accessibility problems please call our office toll free 800-881-5786 or email cfr.info@cfresources.org. Translation, special needs and TTY services can be arranged.